Turns out that not only are you forking over a few more bills for games this season (following our Super Bowl win, of course), but your beer prices are higher — per ounce — than fans at any other NFL stadium are paying. That’s according to just-released findings from sports analysis organization Team Marketing Report, which took a look at the NFL stadiums that offer fans the biggest bang for their buck when it comes to beer. Unfortunately, the Linc comes in dead last when it comes to beer prices. According to TMR, stadiums of NFL teams like the Ravens, Texans, Falcons, Lions, Cardinals and Bengals offer 12-ounce beers for just $5 — equating to a 42 cents per ounce, the best deal you can get at NFL stadiums. The Denver Broncos offer a 16-ounce beer for $6.75, which also equates to 42 cents per ounce. To put things in perspective, that’s 12 cents more than the team with the second-most expensive beer per ounce — the stadium of the San Francisco 49ers, which comes in at approximately 63 cents per ounce. The good news (sort of)? Concessions prices are falling, on average, across all NFL stadiums. The average beer price decreased (ever so slightly) from $8.20 to $8.17 for the 2018 season. Soft drinks dropped from $5.09 to $4.71, and hot dog pricing fell from $5.46 to $5.23 (which is still, let’s be honest, way too much to pay for a hot dog). Philadelphia prices are above average in each category. What might be behind the price drop? It likely has something to do with the Falcons, according to TMR. Fans praised the team after they moved to the new Mercedes-Benz Stadium in 2017 and prices were cut by 50 percent, as compared to the team’s former Georgia Dome stadium. Surprisingly, the move generated more revenue — fans spent and consumed more. So then four other NFL teams (the Ravens, the Panthers, the Lions and the Texans) followed in their footsteps. 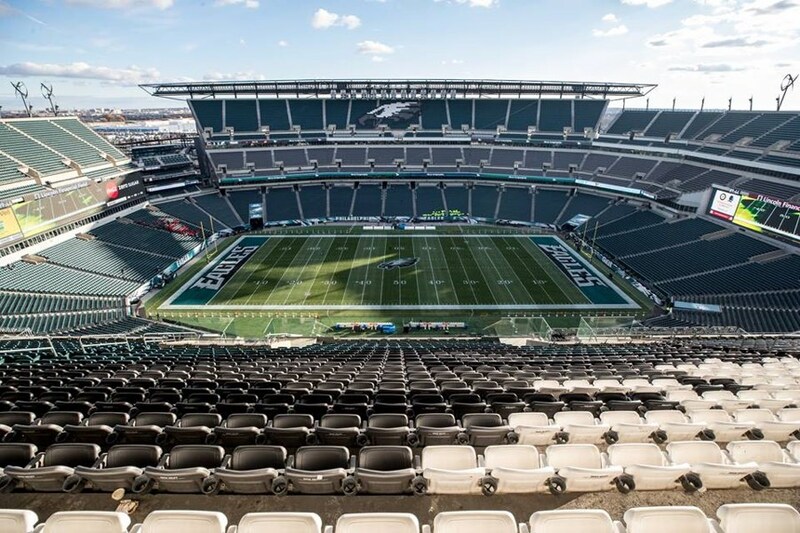 So … maybe the Linc should consider the move? After all, we can’t think of a better way to give back to beloved Eagles fans after our victory earlier this year. View the full TMR analysis here.